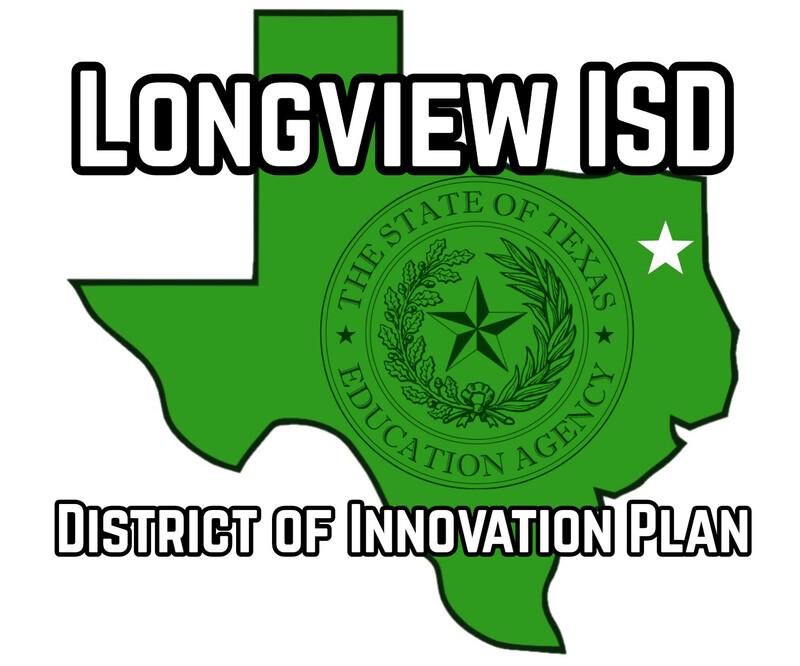 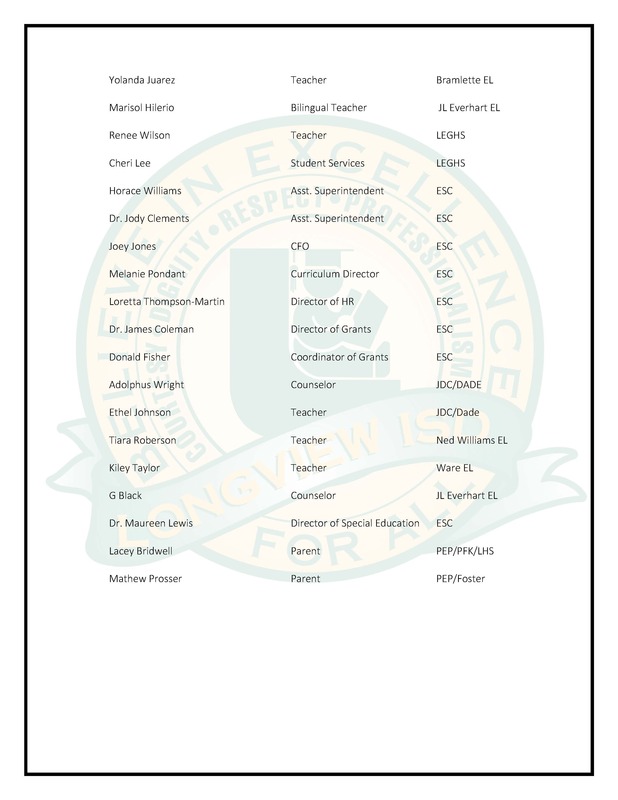 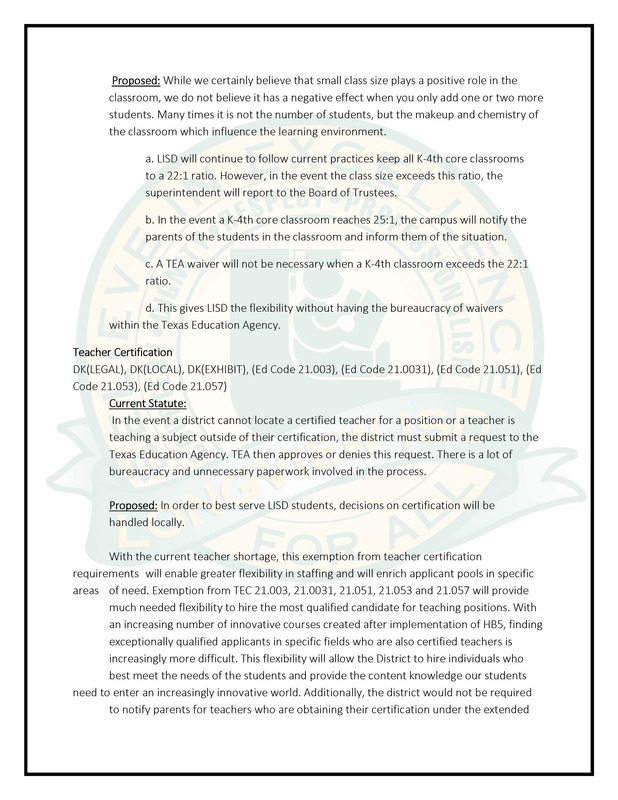 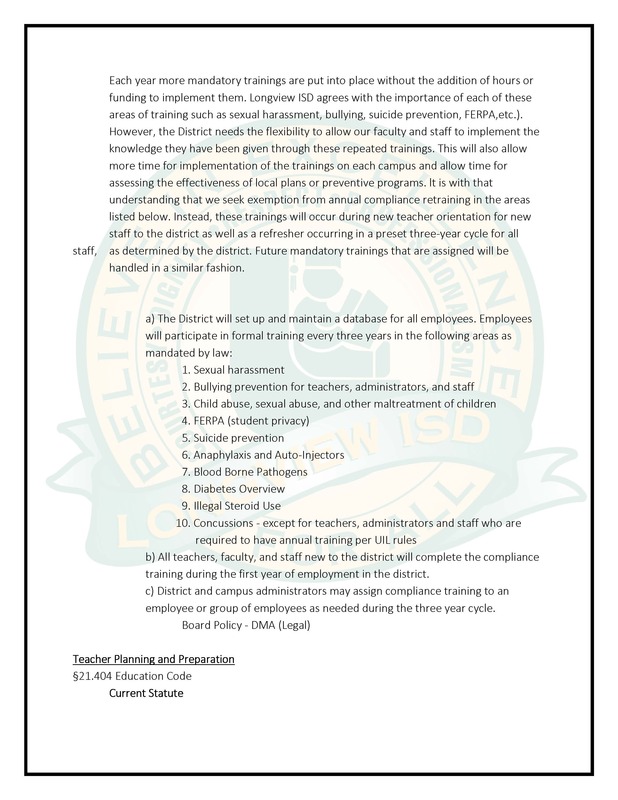 On March 4, 2019 Longview ISD Board of Trustees unanimously approved the District of Innovation Plan, which allows the district to make changes to the academic calendar and exempt some Career and Technical Education instructors from teacher certification requirements. 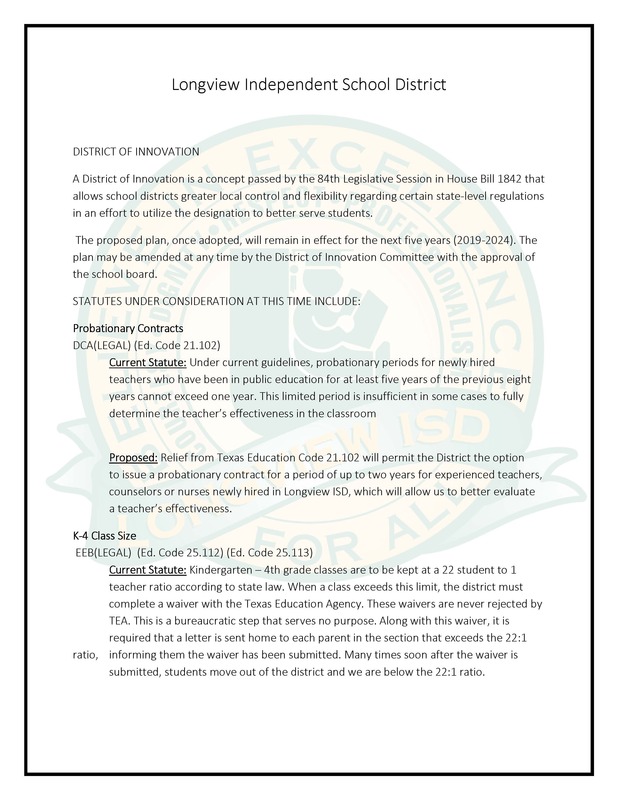 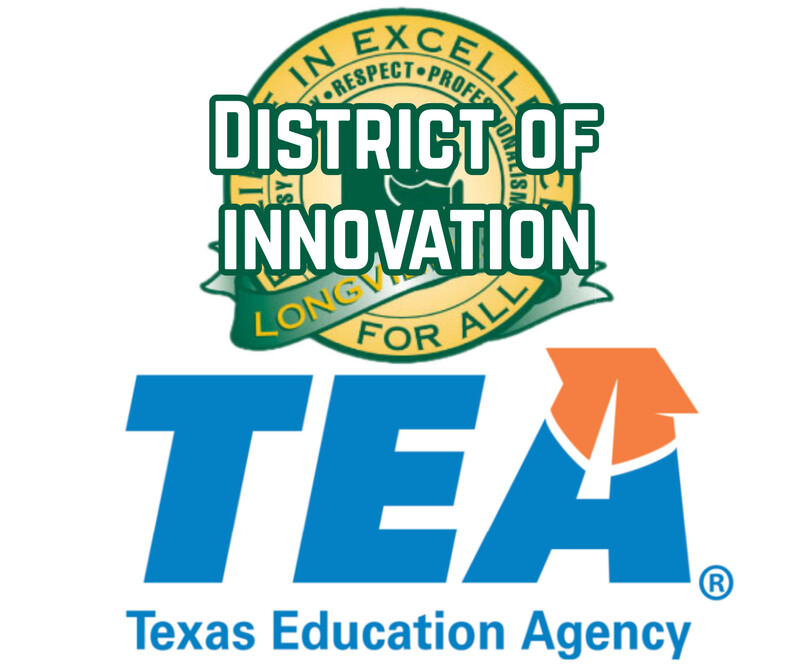 The District of Innovation concept was passed into law during the 84th Legislative Session in House Bill 1842, allowing eligible Texas public school districts to obtain exemptions from certain provisions of the Texas Education Code. 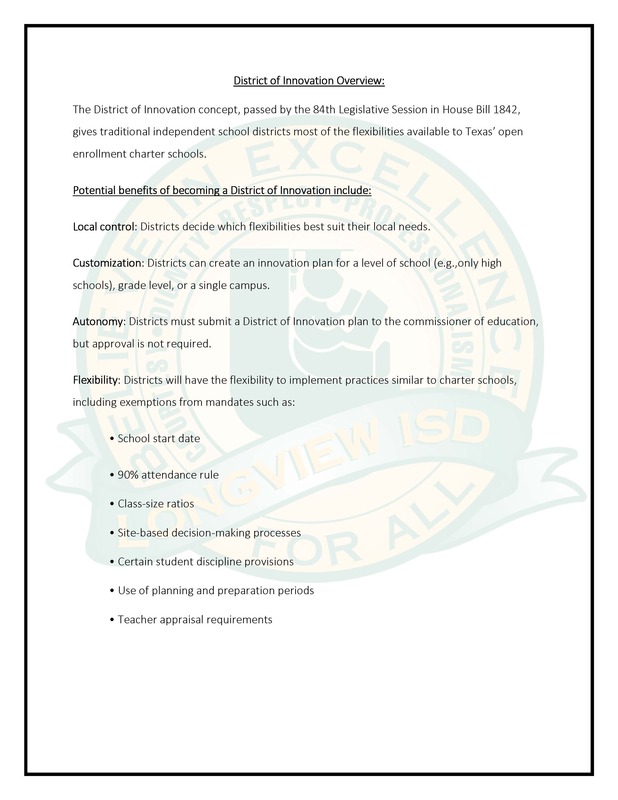 The law allows traditional independent school districts to access most flexibilities available to Texas’ open enrollment charter schools. 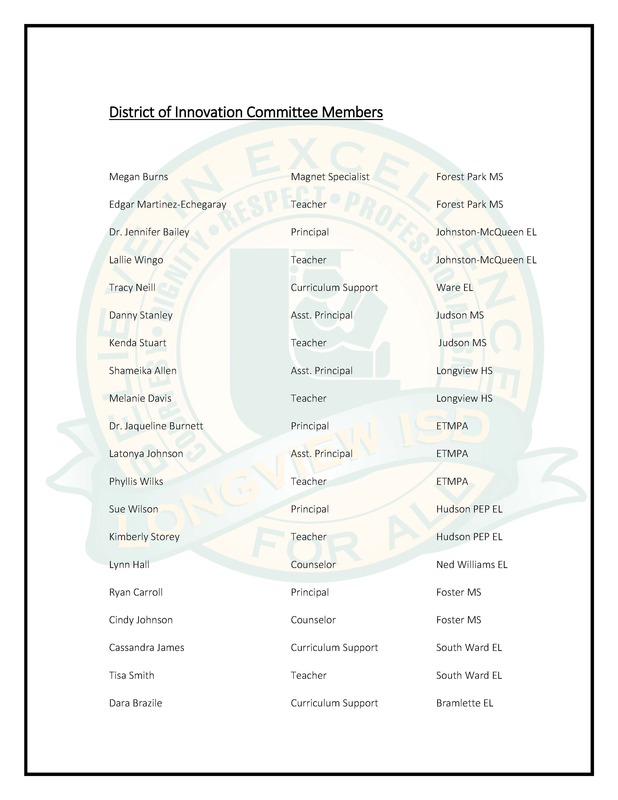 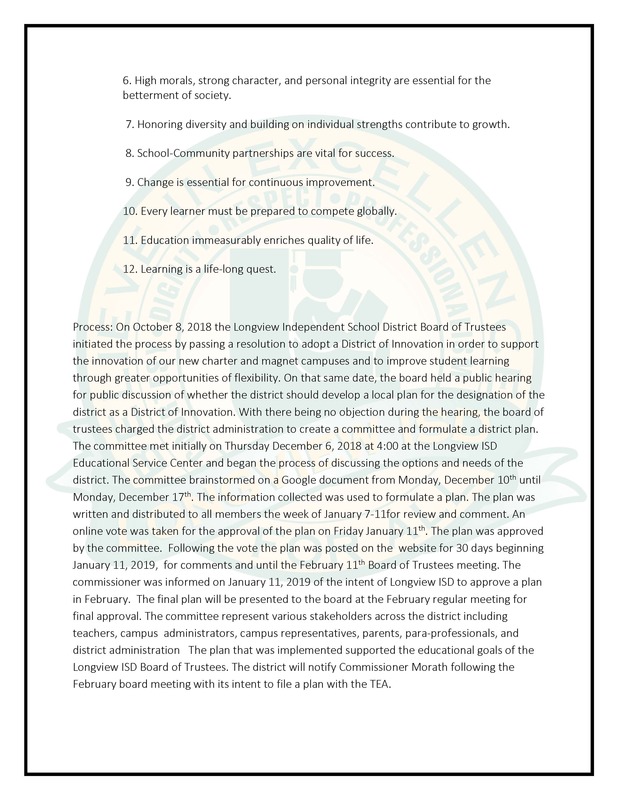 To access these flexibilities, and obtain exemptions, the district must create a Local Innovation Plan. 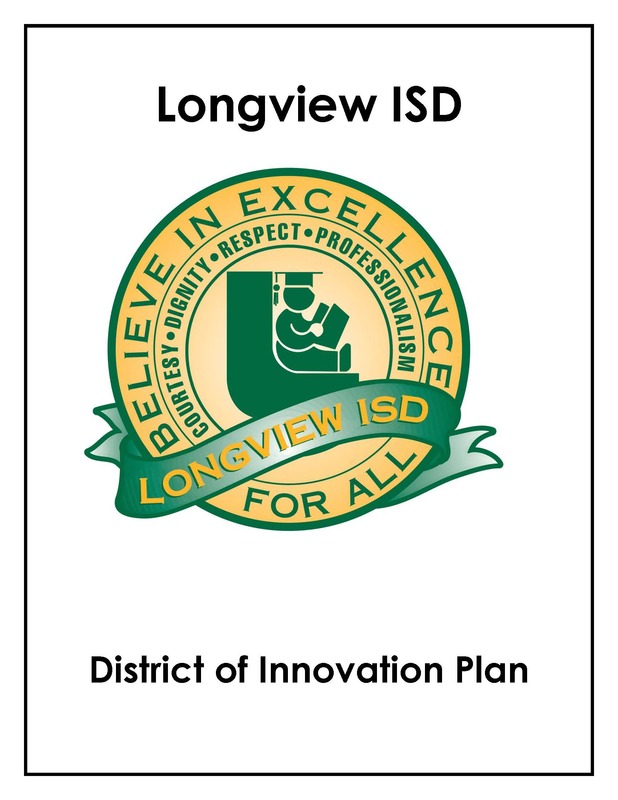 Please click here to view or download the LISD District of Innovation Plan.